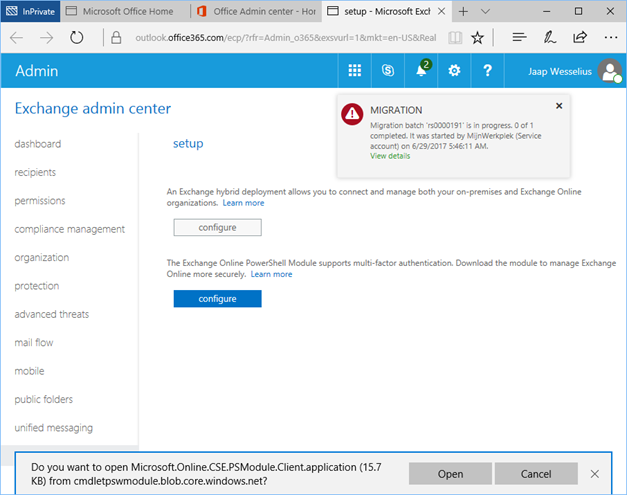 It’s a good thing to enable multi-factor authentication (MFA) for Office 365 administrators. For web based management portals this is not a problem, just enter your username and password, wait for the text message to arrive, enter it in the additional dialog box and you’re in. For PowerShell this has been more difficult, but MFA for PowerShell is available as well for some time now. 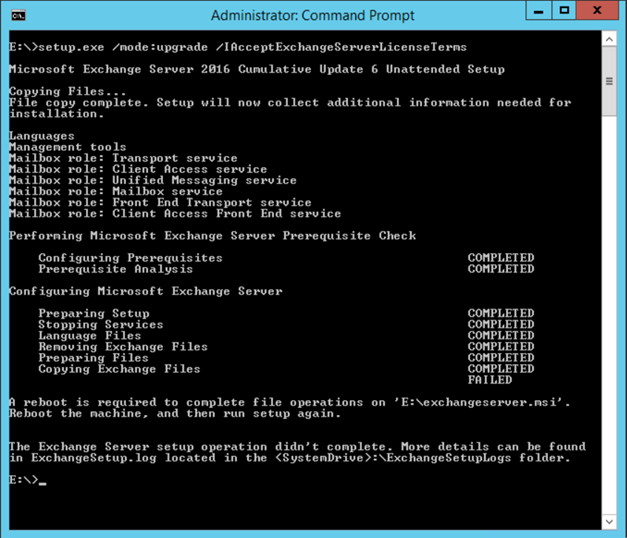 When you login to the Exchange Admin Center and select hybrid in the navigation pane you can configure a hybrid environment (first option) or install and configure the Exchange Online PowerShell MFA module.